Out of all the cities we serve with auto glass replacement and windshield repair service, McLean, VA, is one of our most served. Why? Because their consumers know windshield replacements are not all the same. Quality parts and adhesives, a highly-trained installer, and a reliable company that spends the time to get the details right make all the difference. They also live busy lives and enjoy the convenience – and safety – that comes with our on-site service. Whether you’re in need of mobile service to your residence off Dolley Madison Blvd, or to your office off Old Dominion Drive, we can come to you at no additional charge! Answer: Unfortunately, not. Pitting of a windshield is normal wear and tear. Over time, small objects such as road salt, gravel, sand, debris, etc, create very small pits on the surface of a windshield. As they accumulate, they create glares, reduce visibility, and become a valid safety concern. The only way of removing the pitting is by replacing the windshield. Any polishes that claim to help will only be a temporary fix, if effective at all. 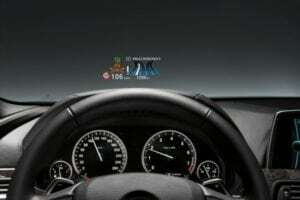 Head-Up Display, also known as HUD, projects information found on the instrument panel/dashboard (speed, navigation, etc) on to the windshield, in an effort to keep the driver from having to look away from the road. It typically does so through a small projector located inside of the driver side dash. Previously only seen in luxury brands, like BMW, HUD is becoming more and more common with even economy brands like Chevy and Honda.